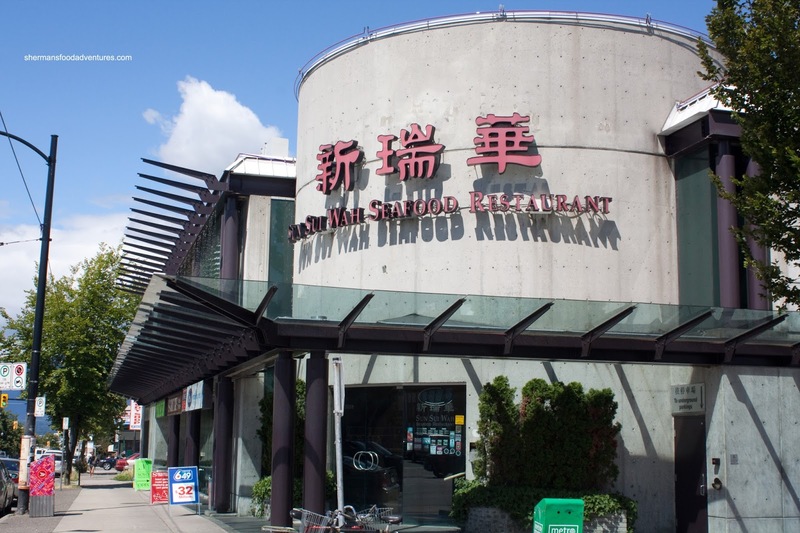 By default, Sun Sui Wah has been one of the premier Chinese restaurants for a very long time. This was true even when they were located at their original location where Golden Harvest now occupies. 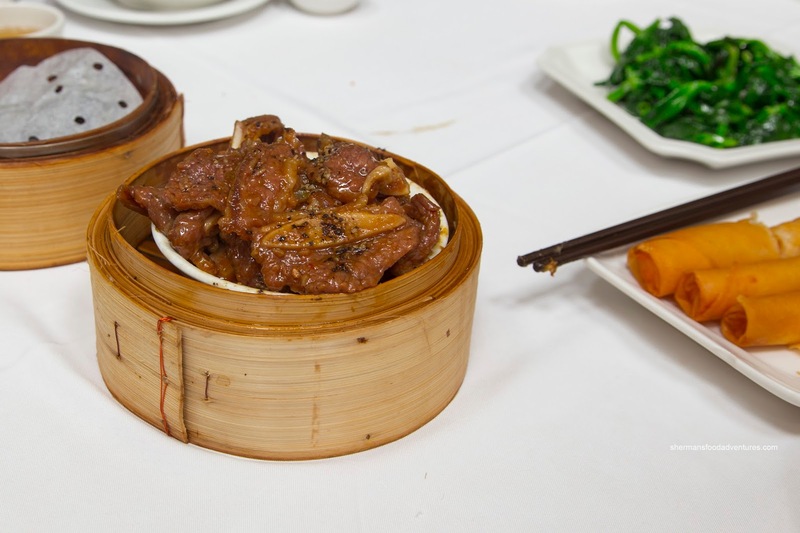 However, as time has passed, newer and better restaurants have arrived on the scene. The question now is whether Sun Sui Wah has kept up with the competition. As of our last dinner visit, that answer would be very contentious. 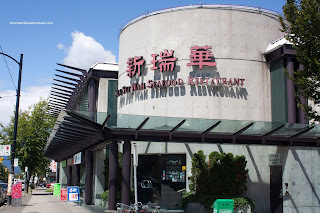 With that in mind, we decided to check out their Dim Sum service since the last time we went was back in 2011. Begrudgingly, we invited my mother-in-law to join us on this food adventure. 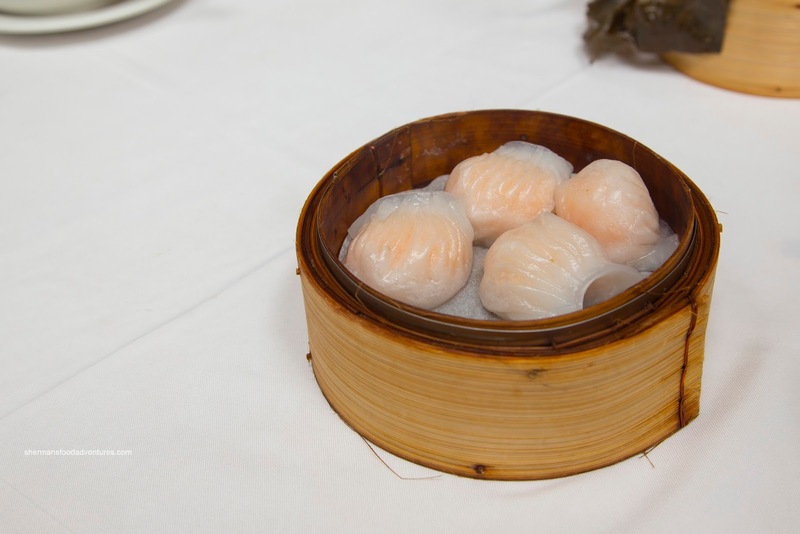 Right off the bat, the Haw Gow (Shrimp Dumplings) arrived pretty quickly. They were tightly made with an appealing skin that was chewy while not too thick. On the other hand, the shrimp filling was subpar. It consisted of smaller shrimp that didn't exhibit much snap. Rather, it was meaty and bordering on bland. As for the Sui Mai (Pork & Shrimp Dumplings), they looked appealing, but unfortunately there was far too many chunks of fat that were chewy. 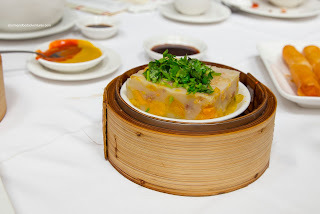 This destroyed the otherwise decent dumplings where the pork had a rebound texture. In terms of seasoning, there was a good balance of savoury and sweet. 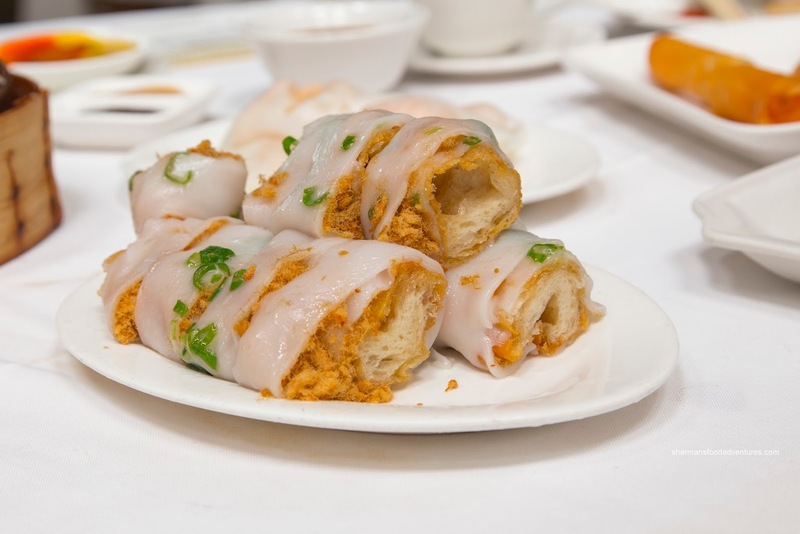 We weren't going to forget about the kiddies, so we got their favourite being the Garlic Shrimp Spring Rolls. These were served piping hot and firmly crunchy. With the right oil temperature and/or proper oil-drainage, the grease factor was low. 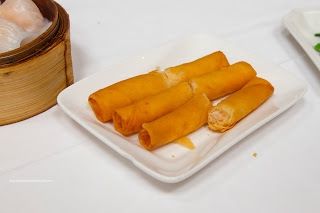 However, much like the haw gow, the shrimp filling was disappointing. It lacked a buttery snap where it exhibited a firmer texture. It did taste good though with enough garlic. Also on the table was their second favourite dim sum item, Lo Mei Gai (Sticky Rice). This was decent with plenty of filling consisting of moist pork with just enough starch-thickened sauce to flavour the sticky rice. As such, the rice was on the wetter side though. My son made sure to remind me to order the Donut Rice Noodle Roll as he could easily devour the whole thing himself. Well, this was an adventure in frustration because he doesn't like the green onions in the rice noodle. That meant I was picking it out while not being able to eat my own food. 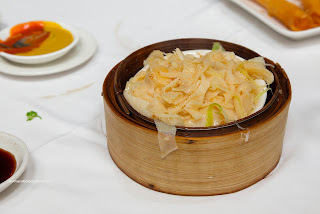 Other than that, the rice noodle itself was quite nice with a soft texture while not being mushy. The donut itself was too dense though and not crunchy at all. Continuing with the disappointing shrimp, the Shrimp Rice Noodle Roll would've been good if it weren't for the firm shrimp that didn't exhibit a cold-water snap. My guess is the shrimp was not rinsed enough and/or it may have been overcooked. My MIL (behaving up to this point) insisted on 2 dishes including the Black Pepper Beef Short Ribs and the Steamed Pumpkin Pudding. 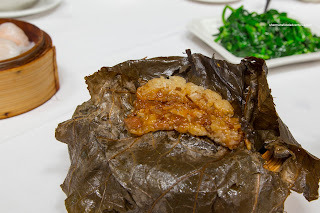 With pieces of taro propping up the ribs, the dish looked quite large. In reality, the portion of short ribs was generous. I liked how they didn't over-marinate the meat so it was still chewy and meaty. It was had a mild peppery hit to go with the ample salt content. I wasn't a huge fan of the pumpkin pudding because it was far too sweet. That was unfortunate as the texture of the pudding was smooth while not runny. Furthermore, the pumpkin was appealingly soft where it wasn't overly so. It was also sweet which added to the already sweet pudding. One dish we regretted ordering was the Deep Fried Chicken Knees. We were aghast when it hit the table. It was in a deep shade of brown that was unappealing. Furthermore, we could smell the oil even before we took a bite. Now when I did take a bite, it was hard and tasted like old oil. This was officially the worst version of this dish I've ever had. To give them credit, they took it back and cancelled the dish from our bill. 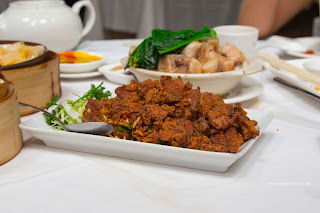 Another disappointing item was the Sparerib and Pork Patty Hot Pot Rice. There was actually nothing wrong with the rice as it was chewy and nutty. Moreover, the minced pork patty was moist and flavourful. But the spareribs were terrible. 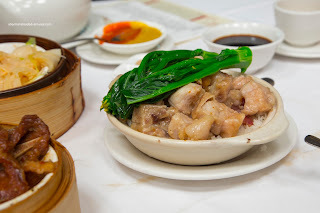 Cut into oversized chunks, the pork was not tenderized properly where it was chewy and dry. 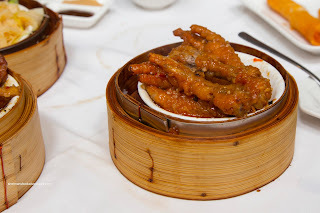 We continued down the road of disappointment with the Phoenix Talons (Chicken Feet). These featured broken skin and undercooked cartilage. Therefore, the whole thing was tough to eat as nothing slid off easily. Underneath, the cartilage and tendons were hard and stayed adhered to the bone. One minor positive was that the dish was garlicky with a touch of spice. 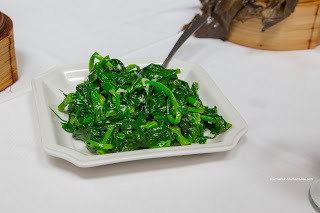 To get some greens into our meal, we had the Stir-Fried Pea Shoots with Garlic. Despite being greasy, the dish featured tender pea shoots that retained an appealing crunch. There was plenty of garlic and the high wok heat ensured there wasn't a whole lot of moisture. For me, I just had to get some offal and that we did in the Steamed Bible Tripe with ginger and scallions. This was fairly straightforward and well-executed. 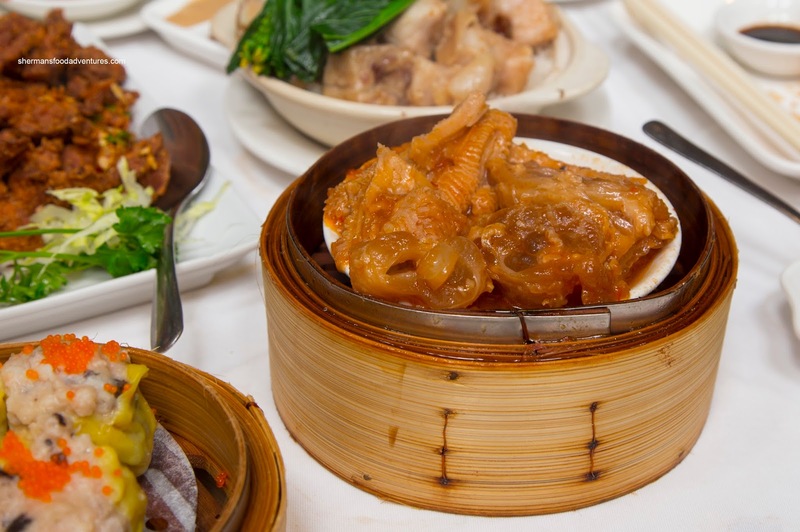 The tripe was tender while retaining a bite. An ample amount of ginger helped add some kick to the mild flavours. Not to be outdone, we also got the Honeycomb Tripe and Tendon as well. I found the tendon to be on point where it was soft, yet not mushy. The tripe was also soft while retaining some chew. However, the whole plate was pretty gamy due to the tripe. It could've been rinsed better and/or seasoned more aggressively. For dessert, we smartly ordered the Egg Tarts after the fact (which ensured they didn't show up as an appetizer). 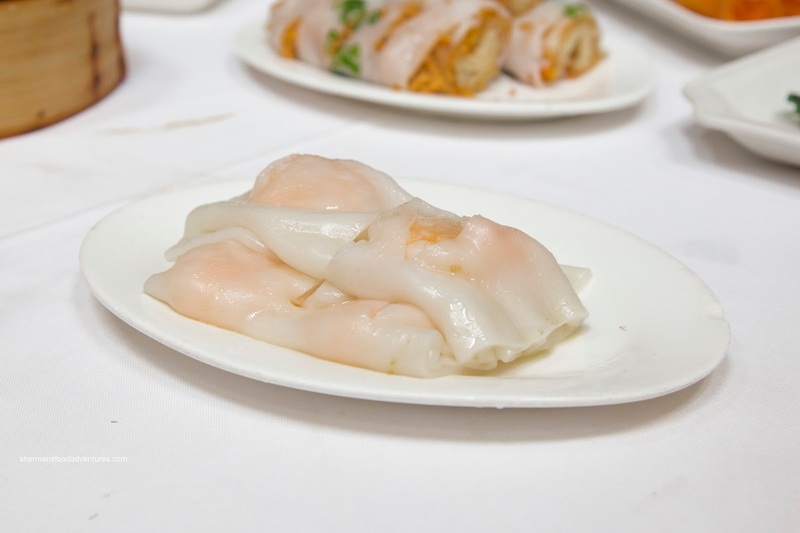 As such, we were able to eat them warm which helped highlight the flaky and buttery shell. 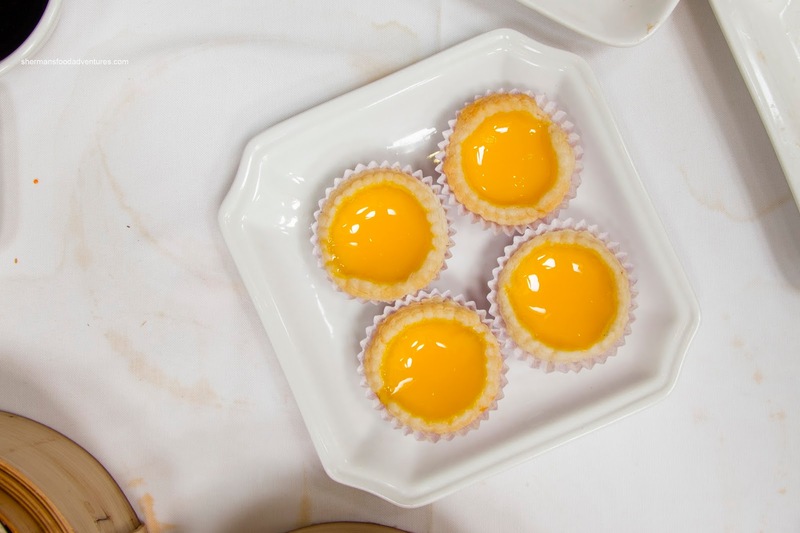 In the middle, the egg custard was silky trending more towards the firm side. It was just sweet enough without being overwhelming. 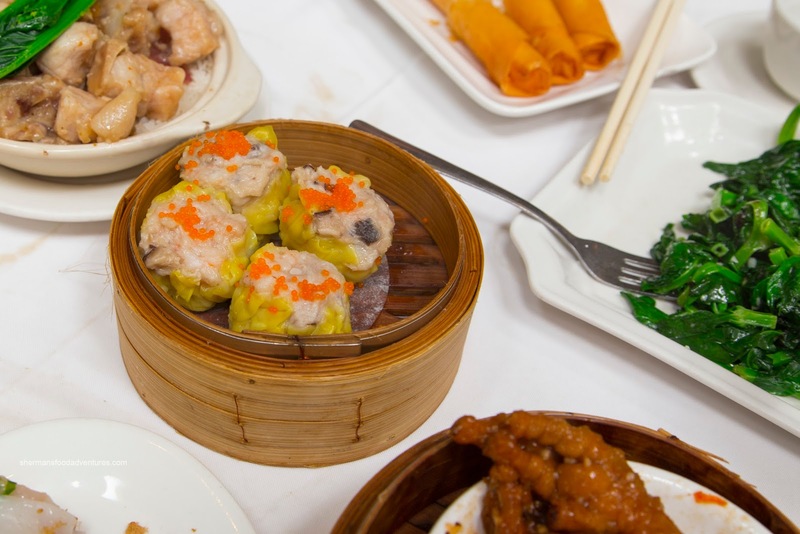 This was a decent end to a relatively unimpressive Dim Sum service, especially for the price point. I'm not sure if Sun Sui Wah is resting on its laurels or what, but they'd better step it up in order to compete with the many better Dim Sum joints in town.